Our lifestyles are now very much facilitated and secured by scientific innovation. Scientific innovation has given us many products that makes our life quite comfortable. However, sometimes, these products have an adverse effect on the environment. Plastic is one such product. We use plastic in preparing comfortable and easily usable products like bottles, jars, chair, tables, etc. That is why in this article we will talk about a number of plastic recycling facts that we need to keep in mind in order to be more conscious when buying such products and how to treat them at the end of their life cycle. Normally, we use six major types of plastics numbered from one to six with the seventh being the other category. These are the polyethylene terephthalate, high density polyethylene, low density polyethylene, polyvinyl chloride, polystyrene, and polypropylene. The polyethylene terephthalate is used in preparing drink bottles like soft drinks, in salad dressing, and also in clothing industries. High density polyethylene is useful in preparing bottles for organic solvents, milk, juice, etc. On the other hand, low density polyethylene can be used in preparing foils, squeezable bottles, trays, etc. Polyvinyl chloride has effectiveness in providing good quality to water pipes, raincoat, etc. The other two types of plastic named polypropylene and polystyrene have an ability to get used in producing disposable cup-plates. So, we see that different types of plastic have different features. This is why their recycling systems are also different. Plastic types can be identified by the resin identification codes. Recycling companies see these codes before recycling. By this way, they maintain a safe and economically feasible procedure. As a result of the many categories plastic recycling is not similar to the recycling of aluminum, paper etc. Why we should recycle Plastic? The considerable thing about plastic is that it is very much durable. It does not decompose easily. As a result it is a very serious threat for our environment. Thus we should keep this fact in mind and recycle plastic. The upside of the durability of plastic is that it is suitable for recycling. We can use the discarded plastics to produce different types of products. This way we help to keep plastic volumes somewhat static. Can we recycle all kinds of plastic? Unfortunately not all types of plastics are suitable for recycling. There are plastic types that if recycled will be destroyed during the process. This is why some types cannot be converted to a new product. In specific, some high density polyethylene plastics are impossible to be recycled. 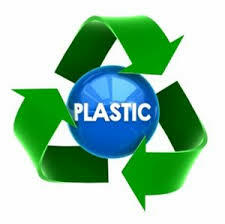 In addition, some plastics like polystyrene, polypropylene, etc are also very difficult to recycle. As a result we need to have an efficient recycling process for these types of plastic. This means that we need to have in place proper plastic recycling facilities in order to properly recycle and at the same time remove plastic that cannot be recycled. The good news here is that many states have now established such recycling facilities which is a great step forward. Unfortunately there is no easy way to destroy plastic as It is full of various chemical elements. A very common way that many think to destroy plastic is incineration. However, incineration of plastic produces high amount of harmful gases which get mixed with air and produce a serious toxic effect on the environment. Recycling plastics is done by following specific steps depending on the plastic type. However, the basic steps that are common for all types of plastic are sorting, cleaning, and melting. Sorting is done according to the resin identification code. Moreover, in most cases, plastics are sorted into two types for recycle- type 1 or PET (Polyethylene Terephthalate) and type 2 or HDPE (High Density Polyethylene). Sorting is very important because different plastics have different chemical structure so if we do not sort we will end up producing a useless final product. Then the next step is to get the sorted plastics cleaned by using water and corrosive solution. These will completely remove the unwanted residues. Then, the whole plastic is to be melted. Melted plastics can then be used to produce different types of products. The notable thing here is that recycled plastic cannot regain its quality fully. That means a recycled plastic loses some of its quality. So, a soft drink bottle cannot be recycled to another soft drink bottle. This is one of the important plastic recycling facts.